Yoga Pants Out of an OLD T-Shirt! | Who Are You Calling Crafty? Yoga Pants Out of an OLD T-Shirt! 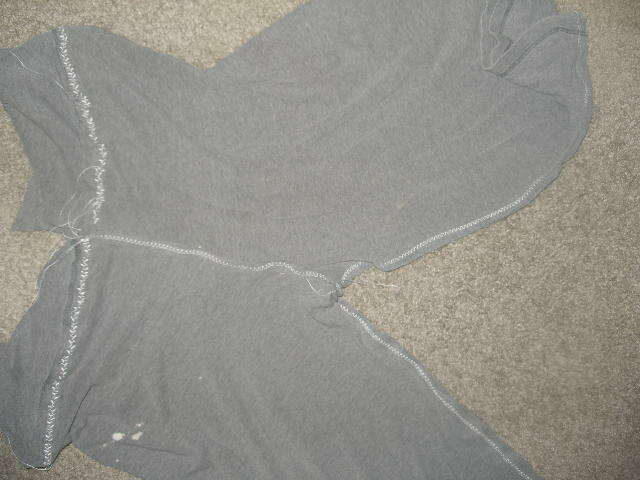 I was reading Nap Time = Craft Time Blog yesterday and she made these amazing yoga pants out of an old t-shirt. 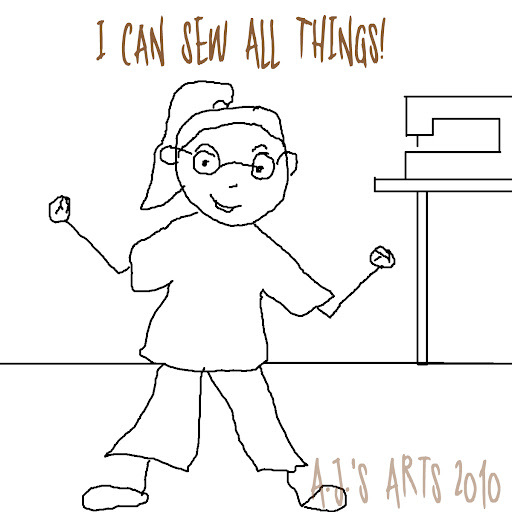 I was like I can so do that (please keep in mind my sewing skills are maybe one notch above average.) Straight lines maybe, curves not so much, and decorative stitches not so much – I decided that I can conquer all things including decorative stitches. 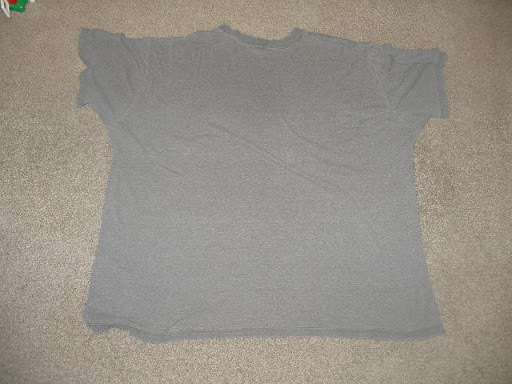 The shirt – I have had this shirt since I was in the 7th Grade. It is a Victoria Secret sleep shirt – I got it from my Aunt Carol for Christmas I recently retired this shirt because it was getting a little to ratty. 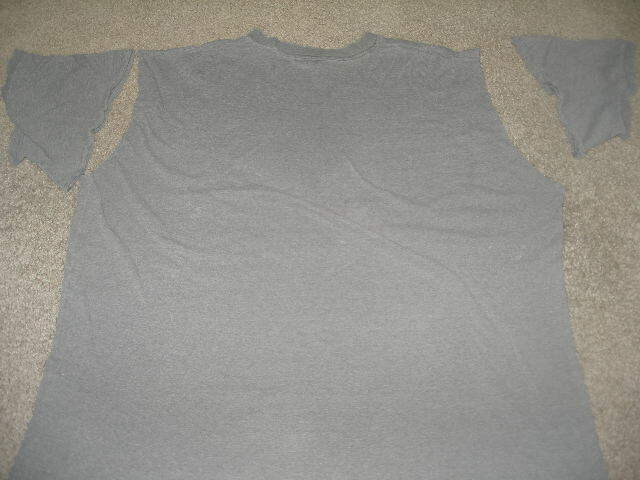 I cut the sleeves off the shirt. Just inside the seams. 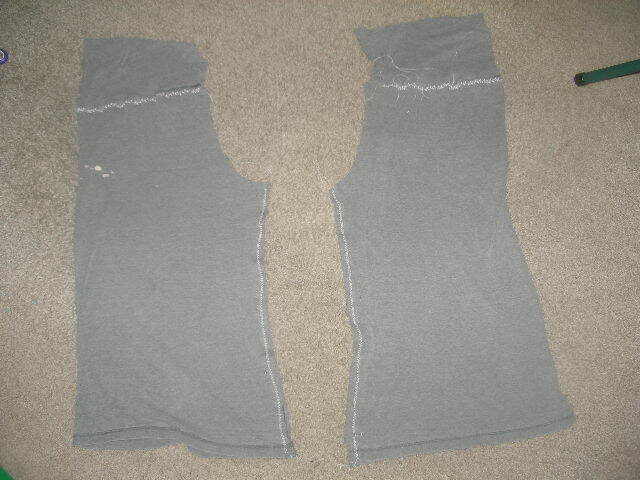 I cut open the sleeves and tried really hard to square them up. Scale of 1-10 on how well that went over – about a 5. Pinned one of the selves to the shirt. The hem of the sleeves becoming the new hem of the waist band. So pin the finished hem to the right side of the fabric. 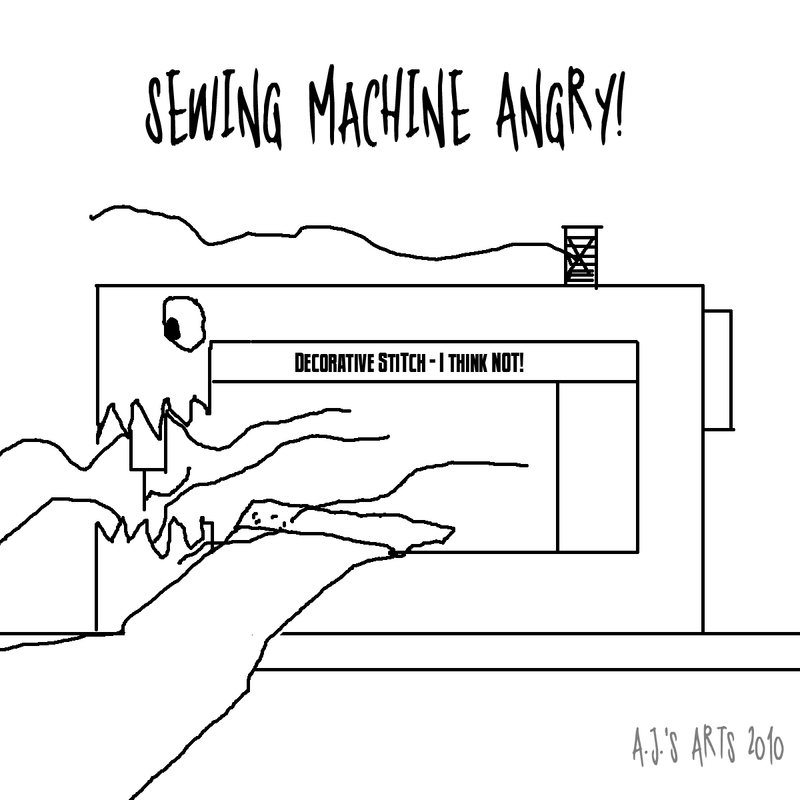 My sewing machine thought that my pants really did not need a decorative stitch and decided to eat the thread and make a mess. After 20 minutes (per leg) of fighting with my sewing machine to sew the stitch I wanted I got to the next step. Decorative Stitch finished and the legs put together. 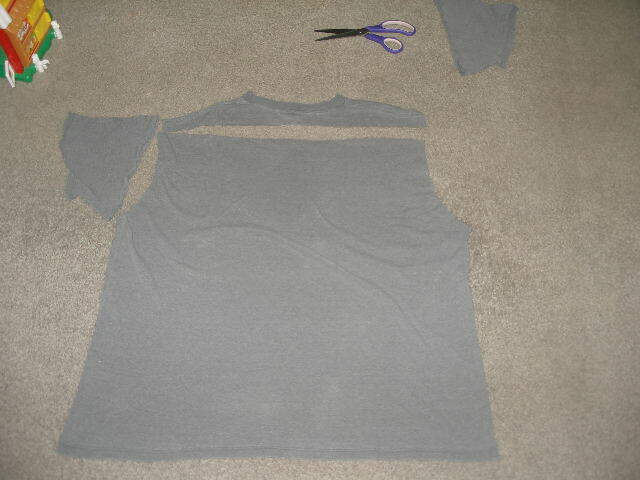 I pinned and sewed right sides together and sewed up to the start of the armpit. I then pinned the pants together right sides together (think of it as a GIANT U) to form the crotch of the pants. The I rolled the top part over and sewed the top leaving an 1 1/2″ band around the top. My pants were huge when I tried them on so I fed elastic through the band. I am pretty sure the next time I will do string. UPDATE: I made a second pair and flipped the sleeves so they would be the finished hem up top. I did not need to add elastic or a string. Oh so comfy! Thanks for linking up! I'm glad you like them! When I did the waist, I didn't do the decorative stitching and I left the hem on the sleeve. 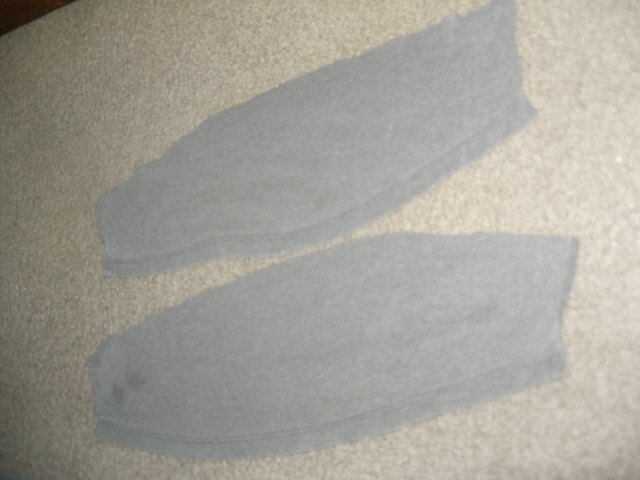 I sewed the un-hemmed part of the sleeve to the top of the pants inside (so seam is hidden) and then the top part is the hemmed sleeve part- this makes it not as loose. You can wear them w/ the band up or fold it over. I'll add pics of what I'm talking about on my blog!